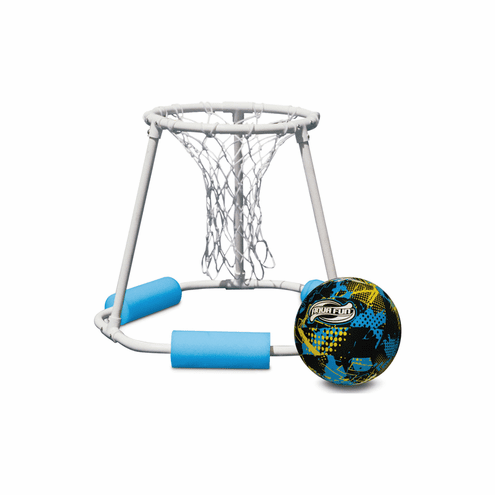 Swimming pool basketball game made of quality non-corrosive PVC construction. Three-way support for rugged use. Hand woven heavy duty polyethylene net. Complete with 8.5" Classic Pro game ball. Measures 24" across the base and 20" high. Fun for above ground pools or inground pools.